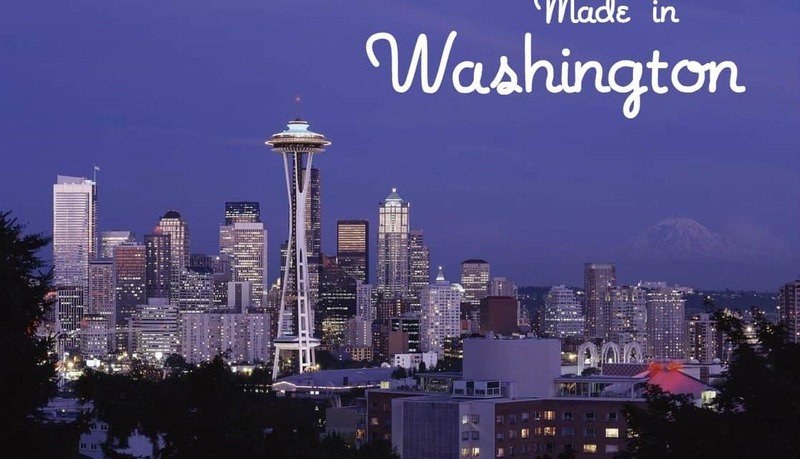 Are you ready for 10 Things We Love, Made in Washington State? You wish you could live in Washington State, I know. Despite the fact that it rains a lot here, Washington is still one of the most beautiful states in the nation. 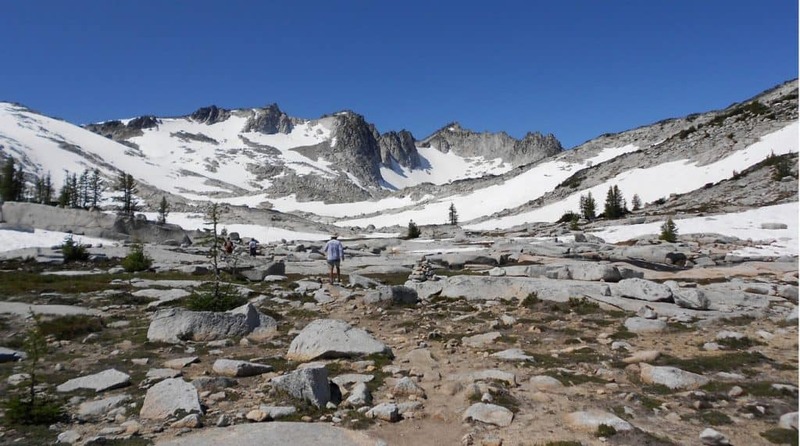 Washingtonians are very outdoorsy given our wonderful mountains, beautiful coastline and enchanting islands. On a great day, Washington looks like this. Most days however, Washington looks like this. Still, despite the weather, Washington is wonderful. The people here are friendly and many members of our extended American family in Washington make wonderful consumer products. 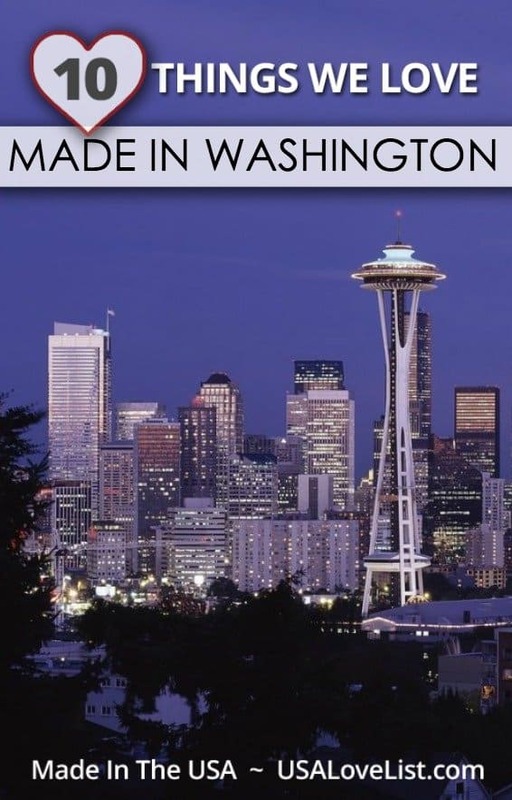 Here is a list of products made in Washington. I encourage you to explore them. We couldn't resisting adding another great Washington State made product to our list. Wrappily uses neighborhood newspaper presses in Washington and Hawaii, taking chic patterns and printing them on 100% recyclable and compostable newsprint. 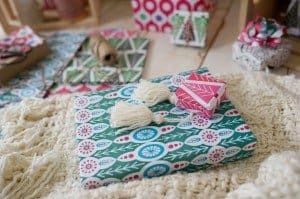 Traditional wrapping paper generates 4 million tons of trash every year. But a piece of newsprint like the kind Wrappily uses can be recycled up to seven times. And I love their cheerful patterns. If you are in the market for votives, Glassybaby is a company you should know. 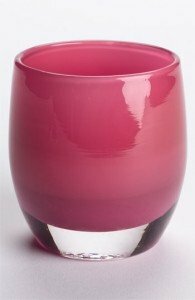 Glassybaby votives are handblown glass, crafted in my hometown, Seattle, Washington. They make an incredible range of colors and styles. If you live in Seattle you can even rent Glassybaby votives for your party or event. Filson is old school. That is not to say they are old-fashioned. Rather, they are a Seattle company that has been manufacturing premier quality outdoor wear for the past 114 years. If you want gear that will keep you warm and dry on any outdoor adventure, I advise you to load up on Filson gear. They use only the highest quality fabrics and leathers in their cases, satchels, and apparel. Not all Filson products are American made. Read labels carefully. Manpans makes wonderful cookware east of the Cascades in the Spokane Valley. Manpans' cookware is very 21st century and very reasonably priced for what you get. 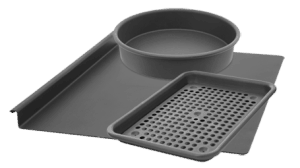 Manpans is a leader in “green manufacturing.” They make all sorts of saucepans, woks, pizza pans and bakeware. And all their pans have a sort of very hip Mission Impossible look. Sheila McKinnon and Theresa Schneider are two wonderful women in Seattle whose firm produces some of the most beautiful furniture you will ever see. McKinnon Furniture pieces are truly “one of a kind”; any piece that McKinnon makes can be customized to the exact dimensions and finishes you want. Their Tansu modules allow you to create unique storage and display combinations. Look for an upcoming McKinnon Furniture video on my blog. I backpack a lot and Cascade Design makes the best backpacking sleeping pads in the world. Cascade Design’s manufacturing plant is located about a ¼ mile from my office in downtown Seattle. 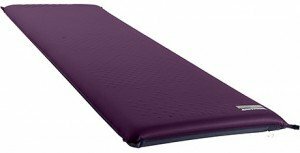 I am buying a new Cascade Design Therm-a-Rest sleeping pad. Cascade Design also makes Platypus collapsible water bottles in Washington. Staying with the backpacking theme, I introduce the firm making the best sleeping bags I know. Nothing spoils a backpacking trip quicker than a shoddy sleeping bag. Thankfully, Feathered Friends makes superlative sleeping bags, and they make them in my backyard. You can buy a Feathered Friend sleeping bag for a weekend trip to the lake or for an assault on Everest. The one for the assault on Everest will probably be more expensive, however. There really is a Tom Bihn. Tom’s firm produces a wide range of bags from messenger bags to laptop bags to carry-on luggage; Tom has designed most of these bags himself. In addition, there are many “Tom Bihn” videos at YouTube showing the features of most of the bags that Tom Bihn manufactures. My mum really likes Tom since he makes a bag specifically for knitters. Two snowboarders, Mike Olson and Pete Saari, founded Mervin Manufacturing in 1977. The company builds snowboards (Lib Tech), and skateboards in Carlsborg, Washington. If you want a U.S. made board, Mervin Manufacturing is company for you. Now if only I could find a way not to wish all snowboarders would learn to ski. The 15 members of the Rodriguez Bicycle family build bicycles in a small shop on the “Ave” in the University District in my hometown. The firm has been hand-building bikes since 1973. A Rodriguez Bicycle is hand built and will be the last bike you will ever need to purchase. If you haven’t heard, our Mayor who is mad about biking is nicknamed Mayor McSchwinn. His real name is McGinn. Rodriguez is featured in our American Made Bikes Ultimate Source Guide. In Seattle, we have the UW. Somewhere east of the Cascade Mountains there is another University I think. Anyway, since there isn’t really much to do over there, they figured at least they could try to make something worth eating. And they succeeded. Cougar Gold®, produced at the Washington State University, is a rich, white cheddar with a smooth, firm texture. John Briggs is an attorney in Seattle wrapping up a book titled, Simply American, Putting Our Extended American Family Back To Work. 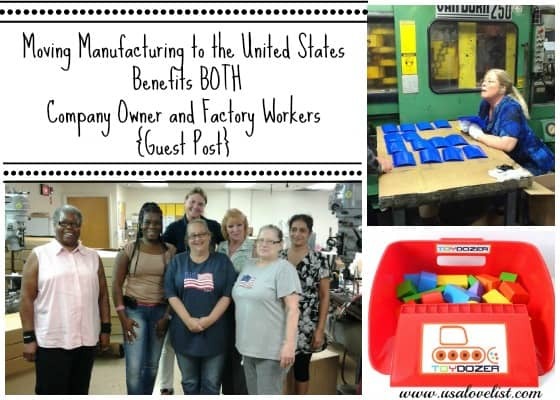 He blogs about all things Made in America at simply-american.net. 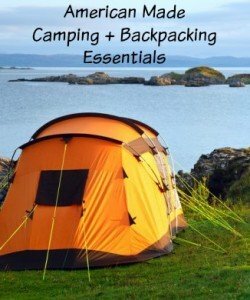 Don't miss our list of American made camping essentials! 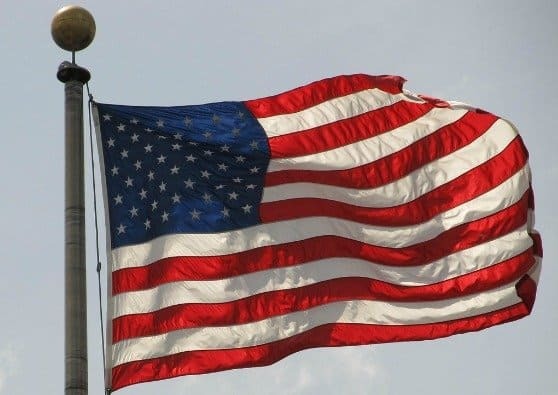 Weekend Weigh-in: Do you sense that Made in USA is growing in importance? People, as a fellow Washingtonian, I gotta tell you, you wanna try the Cougar Gold Cheese. It pretty much totally rocks. It is delicious, and comes in a can, which is cool. 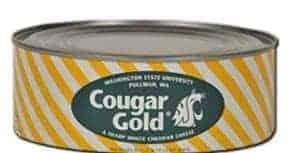 OMG yes Cougar Gold Cheese is to delicious!! Exactly Angi, There is a whole lot more to Washington than Seattle! If you look at the traffic on I90 on Sunday of any summer weekend the west bound lanes are stop and go most of the day as the Seattleites head back home from their fun in the sun on our lakes. Too bad the author is a UW snob; Washington has many universities with lots of alumni living in Seattle. Too bad he didn’t just write about the great products without being condescending. Laura: Sorry it came off as condescending, I was trying to be funny. I went to WWU for two years, my wife is a WSU grad and my son went to Gonzaga. If you don’t enjoy the UW-WSU rivalry, I am not sure you are really a Washingtonian! It is very weird after living here for four years that I still hear people say how it rains here all the time. It doesn’t. Not even close. How bizarre. I love the McKinnon Furniture, especially all of the pieces that incorporate stained glass. Beautiful! If you’ve lived outside of Washington and Oregon then, yes, it DOES seem like it rains sooo much! Because compared to other states, it does. I lived in Portland for about 10 years and I have to say that Oregon and Washington are 2 of the most beautiful states in our country. The rain makes ’em that way! I’ve seen a couple of the items you mentioned and the cheese I’ve had. Awesome! I have relatives and friends there. I want to go hiking there. I have not been there, yet. Washington does look like a lovely state, I would like to visit one day. The products seem terrific too! Washington is a great state and here in Eastern Washington, we have craft breweries and distilleries, small food processors who grow and process food products, and a beautiful wheat harvest coming off now! 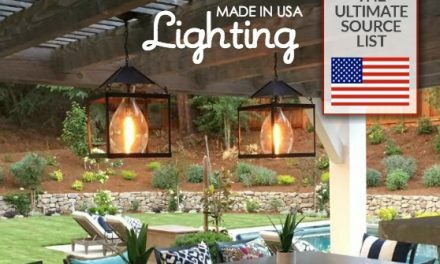 I’ve wanted to vacation in Washington for a long time – these products are all nice! If I get to go, I’ll remember the wellies and unbrella!!! Lots of wonderful items here in the Eastern part of the state !! WA has numerous microcimates due to it’s geography and topography. Also you are missing WA products like Brown & Haley Almond Roca and Mountain Bars, Mt. St Helen’s Glass, Chuckar Cherries, Liberty Orchards’ Applets & Cotlets, Johnny’s Seasonings to name a few. Also love the Liberty Bottleworks 100% recycled aluminum bottles! My son sure would like one of the Mervin Boards… I can’t say how well he can board, though! Lots of neat things made in Washington state. I have always wanted to visit there it always looks so beautiful. Glad to read it isnt always raining there although I wouldnt mind the rain to see the state! Mick’s Peppouri jellies. Brown & Haley Almond Roca and Mountain Bars. Beecher Handmade Cheese. Partners a tasteful choice company. 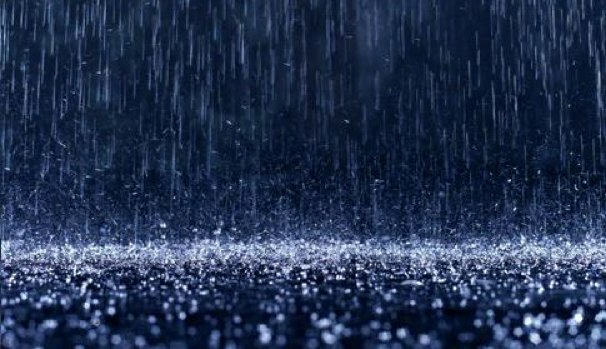 Riteintherain products. Clearsnap ink and accessories products. These are all interesting. I’d love to check out the Manpans & the Cougar Gold cheese. Those look especially interesting to me. Lib-tech makes skis too, get a pair! Mick’s Peppouri Pepper, wine and beer jellies; Brown & Haley Almond Roca and. mountain Bars; Write in the Rain produkts; Ice Chips Mints; Mrs Pickles Gourmet Pickles; Partners: A Tasteful Choice products; St Helens glass products. I’ve always wanted to visit Washington, it is the number one state I’d pick if I could. Seeing all these posts, there are so many things I want to try from this list, I’m also very fond of RODRIGUEZ BICYCLES!!! !